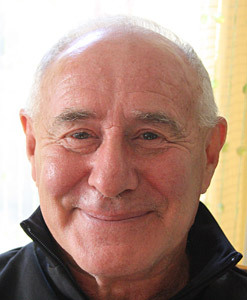 Harold Derbistky has extensive and widely varied experience as a teacher, coach, and mentor. When I first invited him to be my guest on a Wholeness Hangout, I didn’t know what aspect of coaching and the Three Principles we might explore. Please join us on Tuesday, March 13, at 1:00 PM Pacific Daylight Time for a no cost Zoom webinar exploring what it means for a coach to be comfortable in their own skin and how this distinguishes the mature coach from the apprentice coach. Being open to heading into different directions and developing different aspects of your role in the coaching encounter. Decisions about the direction, process, and content of the session are not made through familiar mental processes. Seeing that problems are always the product of thinking and thus not to be resolved by more thinking from the same level of consciousness. Collective consciousness as the teacher. Orienting to a beautiful feeling versus a sense of having the right tool or answer. Meeting the client on a level playing field rather than taking a one-up position. Listening with nothing on our minds. Click here to download the audio of the Wholeness Hangout: Being Comfortable in Your Own Skin Is the Key to Mastery. Harold (Harry) Derbitsky is President of ACT (Advanced Coaches Training) Inc. Harry specializes in projects and training’s in these major areas: Heavily Addicted and Low Income/High Risk, Native, Mentoring, and hosting Zoom Rooms and sessions worldwide including North America, Europe, and South America.